When I sat down at my desk, it was piled up with several unfinished Stampin’ Up! Paper Pumpkin kits. 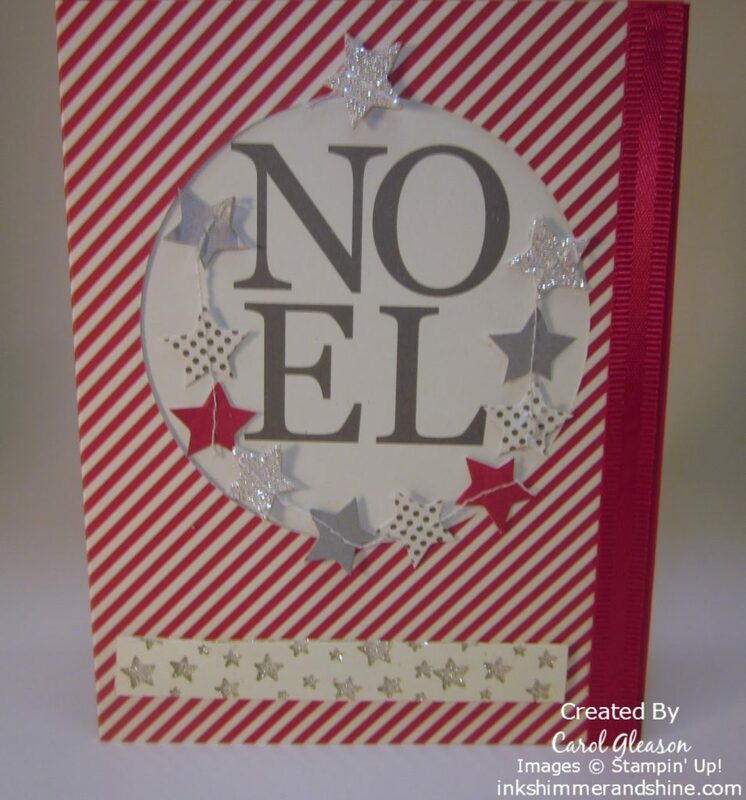 One of them was the Noel kit which has many little silver, gray and red stars stitched together. So I got the ‘brilliant’ idea of using the stars instead of the twine behind the cut out circle. To make the inside a bit neater behind the cutout, I added a piece of Stampin’ Up! Real Red card stock and a few Christmas trees. Two of them are stamped with trees from the Festival of Trees stamp set. The other was punched out from the circle removed from the front of the card. The stamps and punch are also available as a bundled set, which makes popping these trees out super-easy! 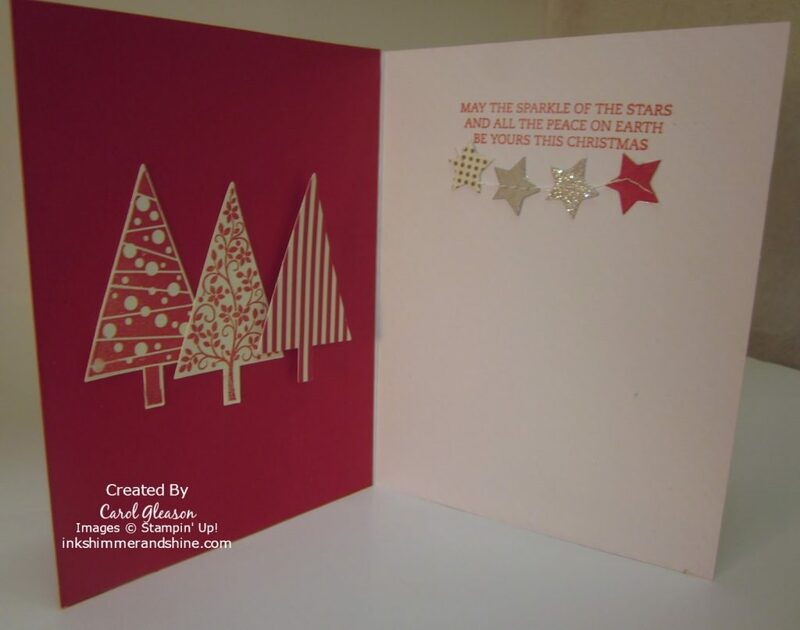 I added a sentiment (May the sparkle of the stars and all the peace on earth be yours this Christmas) from the Stampin’ Up! Christmas Bliss photopolymer set (one of my faves). 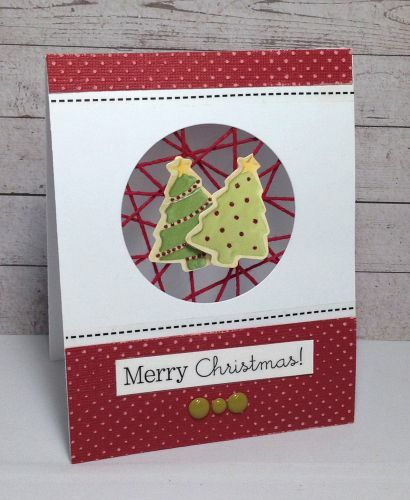 Now, back to the craft room to finish the card I initially set out to create…..
Christmas Bliss, Festival of Trees, String Art. Bookmark.